In the States we have the Blue Angels and Thunderbirds. 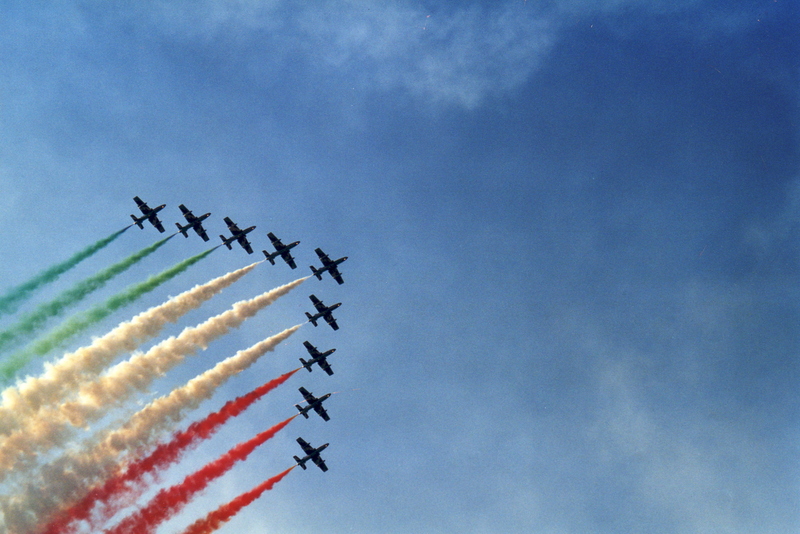 In Italy, they have Frecce Tricolori, or the Three Color Arrows. 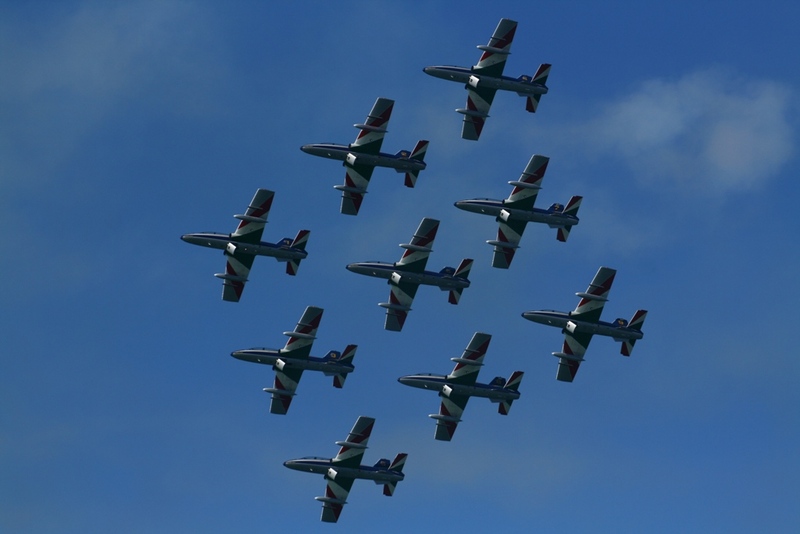 For more on the celebration, and to see the Frecce Tricolori in action, click on the article by Carol King, Le Frecce Tricolori, the flamboyant aerobatic antics of Italy. And if you happen to be in Italy this summer, or even in November, you might be lucky enough to see Le Frecce in action. A cause for celebration indeed! Buona Festa!